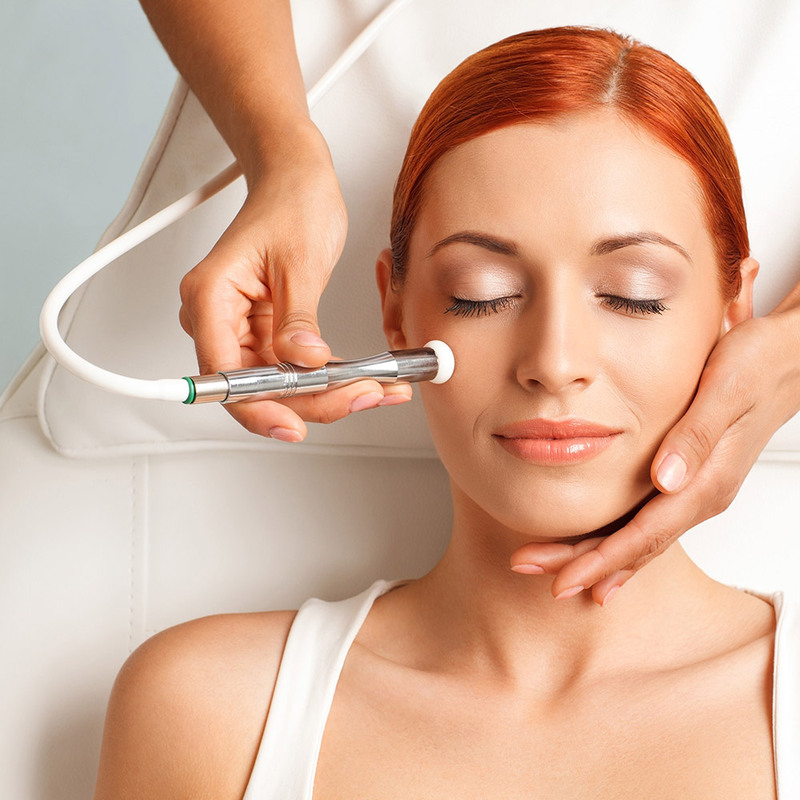 Microdermabrasion is a non invasive procedure meant to gently exfoliate the skin of face and body. When done repeatedly, as with any exfoliative procedure, removal of superficial layer stimulates generation of new layer of skin that is younger and bereft of imperfections. Crystal microdermabrasion - Aluminium oxide crystals are sprayed onto the skin that exfoliates the dirt, grime, sebaceous secretions and dead heaped up skin which is simulatneously removed with the vaccum tip of the microdermabrasion probe. Diamond microdermabrasion - Here instead of crystals, a diamond tip is used ( almost like a sandpaper) for exfoliation. Hydradermabrasion - This could be done in combination to either of the two in clinets whose skin is dry or used independantly in clients with very dry or sensitie skin.Here a gush of water at very high speed is used to gently exfoliate the skin and at the same time gives a hydratimg effect to the skin. This is also popular as Hydrafacial. Generally, a microdermabrasion is followed by a chemical peel or a mesoporation or a leave on cream depending on the client skin and needs and the results sealed with a face pack. After the procedure, the clients skin feels fresh, bright and glowing almost instantly. This procedure can be repeated on a monthly basis as a safe and hygienic alternative to traditional beauty parlour/ salon facials.